Loquat is an evergreen tree grown for its small, yellow/orange edible fruit. 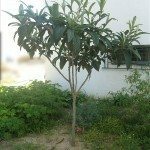 Loquat trees are susceptible to minor pests and diseases as well as more serious issues like fire blight. In order to control loquat fire blight, it is crucial to learn how to identify fire blight of loquats. The following information will help to identify the disease and provide tips on how to treat fire blight in loquat plants. What is Fire Blight of Loquats? Fire blight of loquats is a serious bacterial disease caused by the bacterium Erwinia amylovaora. The first signs of the disease occur in the early spring when temps are above 60 F. (16 C.) and the weather is a typical spring mix of rain and humidity. First, infected flowers turn black and die off. As the disease progresses, it moves down the branches causing young twigs curl and blacken. Foliage on infected branches also blacken and wilt but remain attached to the plant, making it look as if it has been burned. Cankers appear on branches and on the main stem of the tree. During rainy periods, a wet substance may drip from infected plant parts. 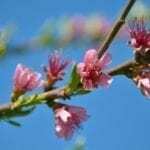 Fire blight may afflict blossoms, stems, leaves and fruit and can be spread by both insects and rain. Affected fruit shrivels and blackens and the overall health of the plant can be compromised. Loquat fire blight control relies on good sanitation and the removal of all infected plant parts. 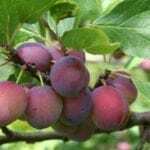 When the tree is dormant in the winter, prune out any infected areas at least 12 inches (30 cm.) below the infected tissue. Disinfect pruning shears between cuts with one-part bleach to 9 parts water. If possible, burn any infected material. Minimize damage to tender young shoots that can become open to infection as much as possible. Do not fertilize with too much nitrogen since this stimulates new growth that is most at risk for infection. Chemical sprays can prevent bloom infection but may require several applications. When the tree is just beginning to bloom, or just prior to bloom, apply spray every 3-5 days until the tree is finished blooming. Re-spray immediately after raining.